Another view of the Lewes Road signal box, this time looking towards the station and Lewes Road Viaduct. This picture is quite deceptive in that it gives the impression of quite complex double trackwork. 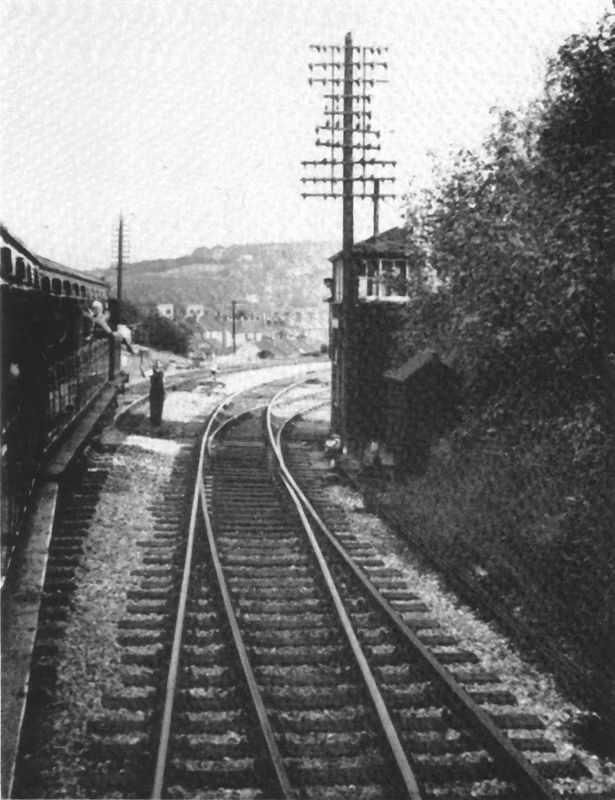 However, the Kemptown Branch was single track for the whole of its length, save for the tracks leading to the coal and goods sidings, of which the pointwork shown here is part. Note the huge of telegraph poles: at this time, the majority of Railway telephone systems were used jointly with the omnibus company. The calls were clearly audible to anyone who tapped into them and I can’t help wondering if this fact alone sped up the demise of the Kemptown Branch to bus routes. Maybe the bus drivers tapped the phones and got there first! !